Earlier this week for lunch, Adelaide Food Central was invited to sample the new and delicious menu at one of our favourites, The Lab. 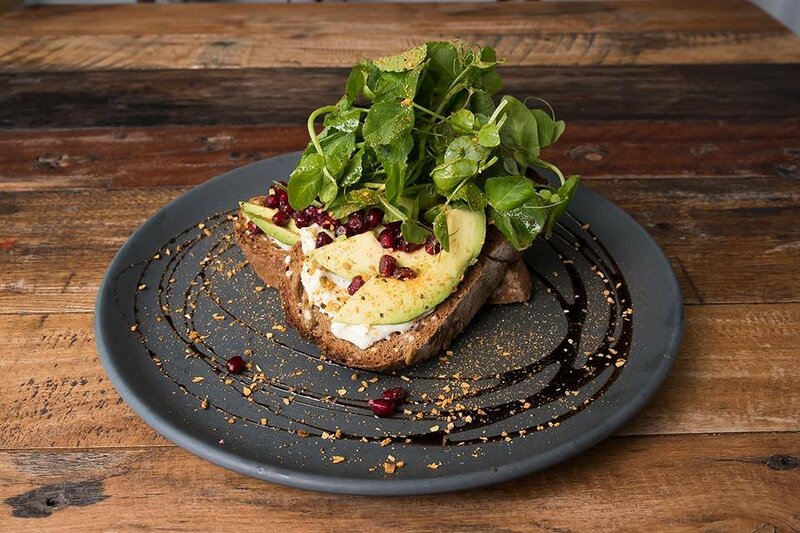 We started the feast with Unsmashed Avo; avocado on seeded rye sourdough with whipped feta, mint, pomegranate, aged balsamic and Moroccan spice. Avocado for brunch is one of my all time favourites, so seeing this new menu item excited me. It may seem simple to make avocado on toast but trust me, when you find a good combination it is a keeper. The avocado and fetta worked extremely well together giving a flavoursome twist. The addition of the sweet pomegranate and mint gave the dish a little bit of difference. The mint was not too over bearing and all the elements balanced each other out. 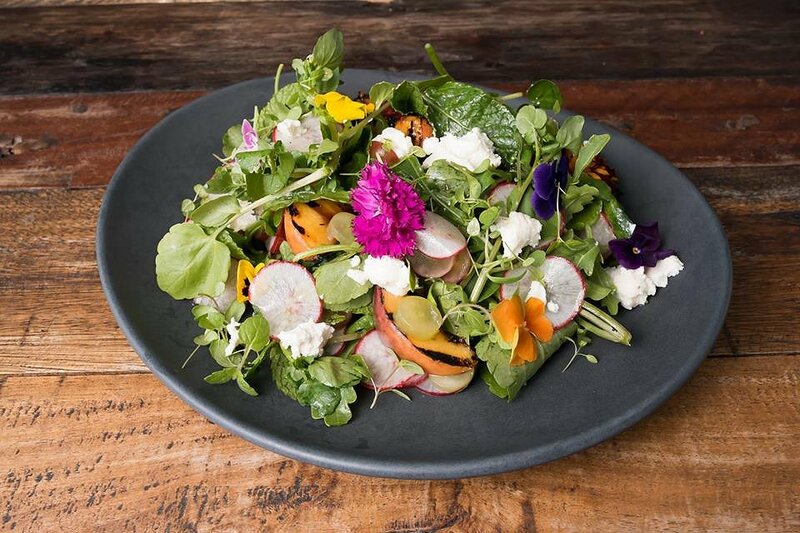 We then went onto a vibrant salad Just Peachy; grilled peach salad with watercress, mint, fetta, grapes, radish, mache and raspberry vinaigrette. This beautiful salad looked like it has just been scooped right out of the garden. I love the combination of ingredients, probably being some of my favourite thus far. I was a little worried that the mint would be too over powering but just the right amount had been added to the salad. The peach, grapes and raspberry vinaigrette helped to give the watercress and radish that little bit of extra flavour. 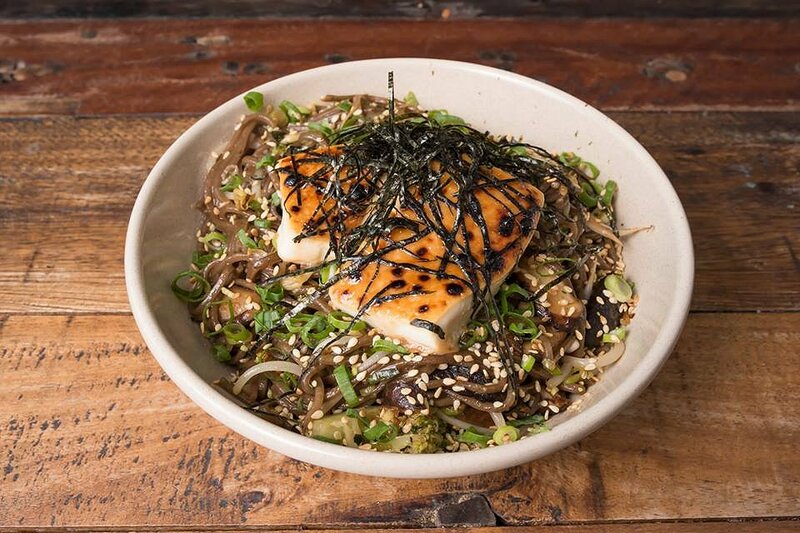 Now onto the third dish Soba Up Noodle Bowl; with miso glazed tofu, evoke, shitake, broccoli, Chinkiang black vinegar and roasted seaweed. If you want something light, refreshing and healthy this dish is for you. An Asian inspired dish with soft noodles and a combination of different Asian vegetables. 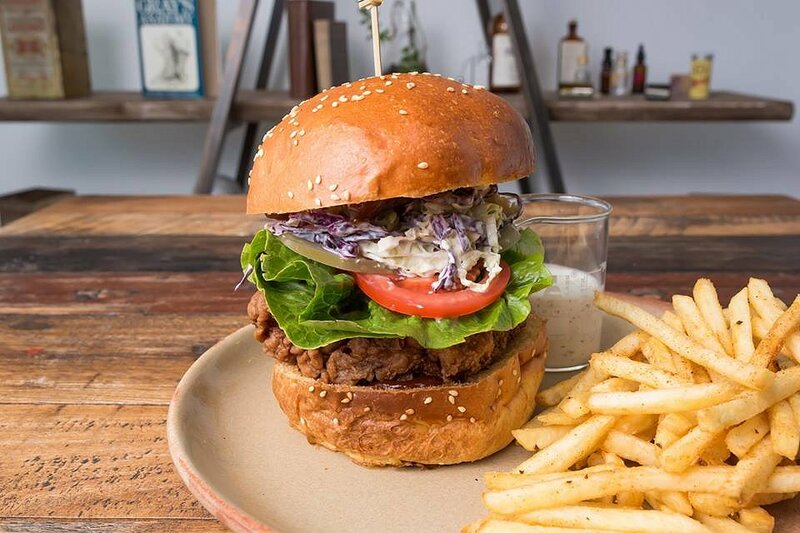 We then tried the Southern Fried Chicken Burger; with buttermilk fried chicken, bourbon BBQ sauce, slaw, pickle, lettuce, tomato and ranch. Sometimes chicken burgers can be quite greasy and hard to digest. This burger was far from that it was extremely fresh and tasty. The fried chicken, was perfectly cooked and worked well with the BBQ sauce. The last of the main menu items, was the Seasonal Smoothie Bowl; with mixed berries, banana, toasted oats, chia seeds, yoghurt and Adelaide Hills honey. What a delicious, healthy and fresh dish this was. 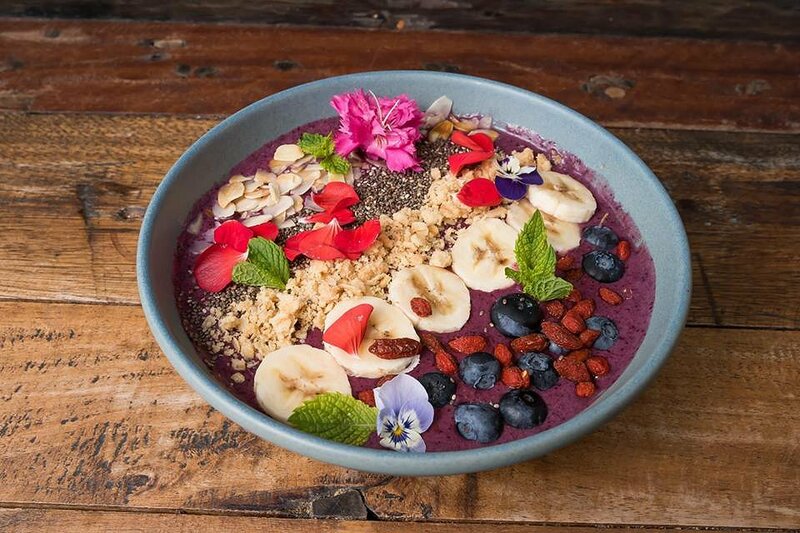 For those of you that have not had a smoothie bowl before, this dish is pretty much a deconstructed smoothie. We loved how there were so many different textures, from crunchy, to smooth and everything in between. We then sampled the amazing dessert menu, a highlight of the day. 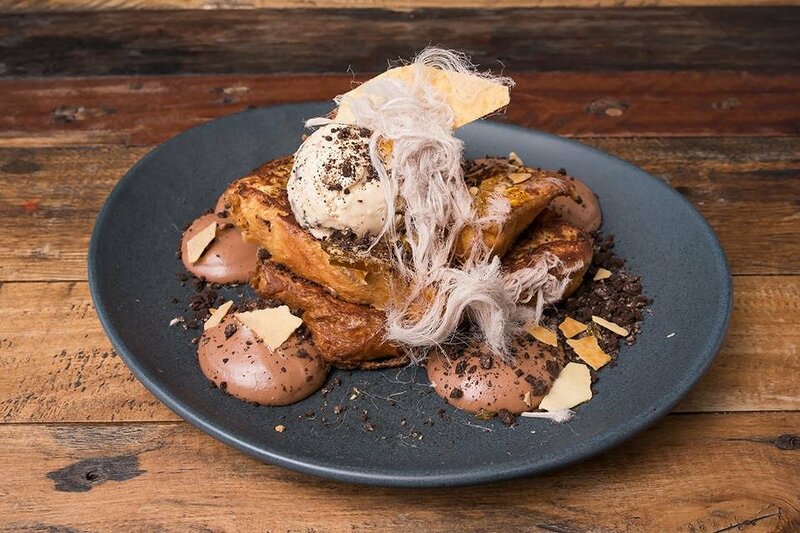 We started with the Nuts about Chocolate; French toast with macadamia praline, Nutella cream, Oreo crumb, malt tuille and scorched almond ice cream. Oh my yum, is all I can say. This is my new favourite dessert and it will be yours when you give it a try. It reminds me of an ‘eton mess’, as everything is piled on top of each other. This dish is a chocolate lovers heaven. 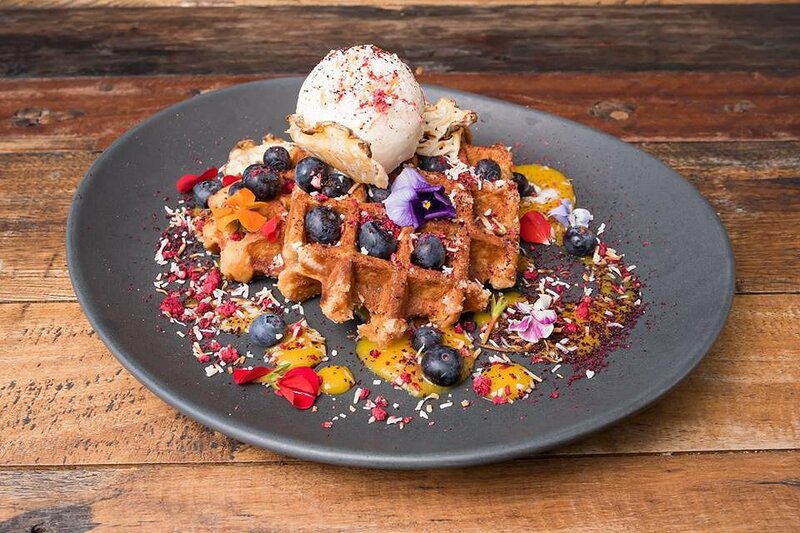 The second dessert we tried was the Pina Colada Waffles; with mango, toasted coconut, blueberries, raspberry dust, pineapple crisp and coconut ice cream. This dish will be the best Pina Colada you will ever taste. The waffles are real Belgium ones, cooked perfectly with a slightly hard outer and soft inside. All the other elements are sweet, refreshing and fresh. Thank you to the team at The Lab for introducing us to their new and amazing menu. It is always a pleasure eating at your café, as we are never disappointed.